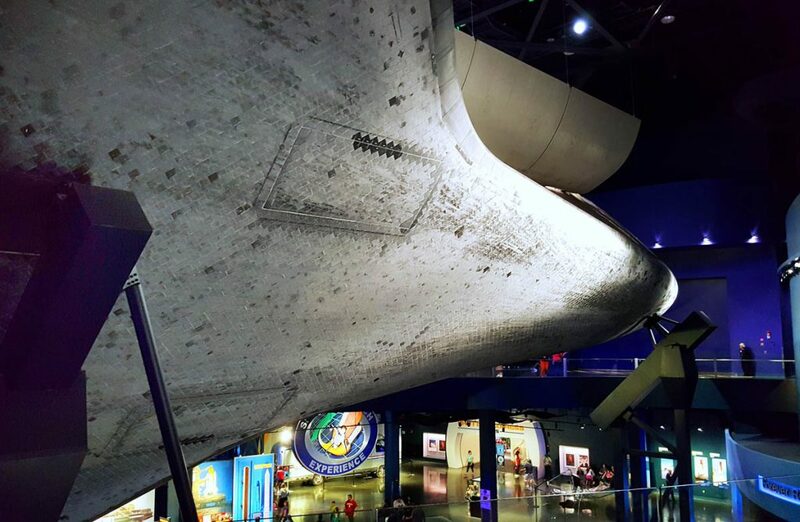 One of the first trips we planned on taking upon moving to Florida was out to the cape to visit the Kennedy Space Center. Fast forward two years later and we finally made it happen and now we can’t wait to visit the Kennedy Space Center again. Let’s just hope it doesn’t take two more years. We got our tickets online to save some time but you can purchase them when you get there too. 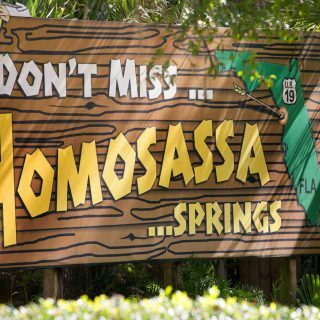 If you’re lucky enough to live in Florida the annual pass is a great value and allows you to come back as often as you like. 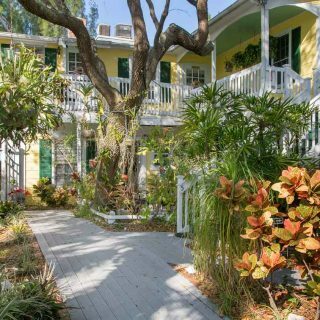 It also offers discounts on food, retail and up to 6 accompanying guest tickets per visit. The “rocket garden” is quite impressive. 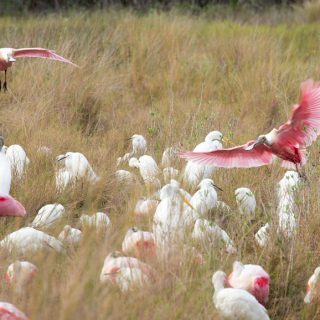 Being this close gives you a real sense of the power involved in flying these marvels of science. As you work your way around the complex you come to Journey to Mars. A real life Martian adventure! 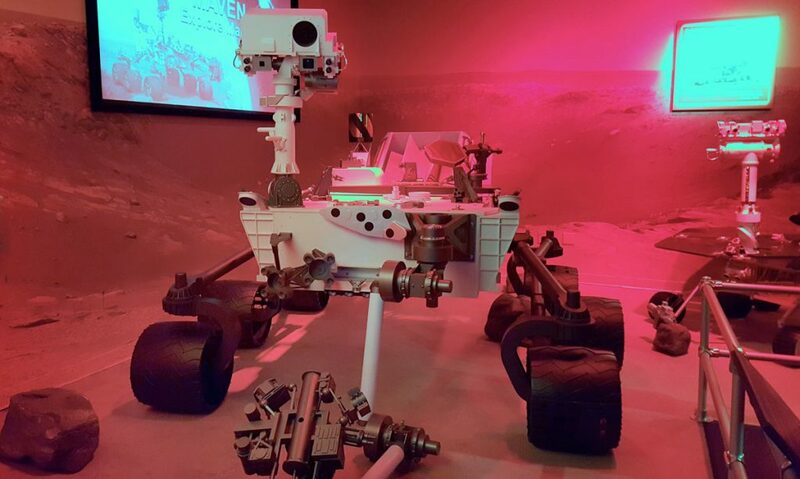 A replica of the Mars Curiosity Rover is on display. 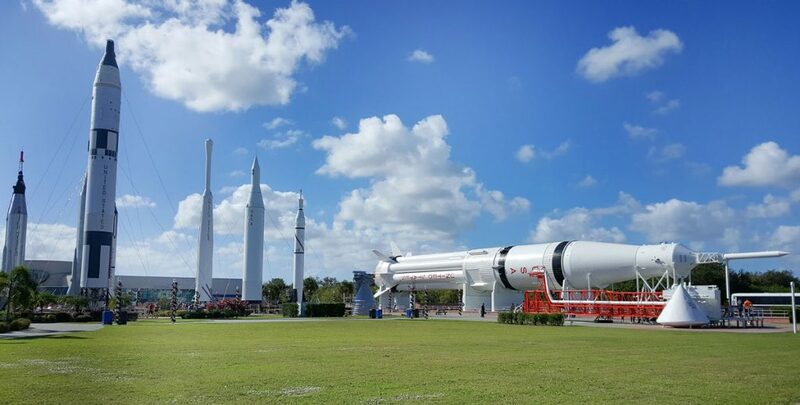 Included in the admission to the Kennedy Space Center Visitor Complex is a bus tour. They take you out to see various launch sites, the Crawler Transporter, the Vehicle Assembly Building and the Apollo / Saturn V Center. 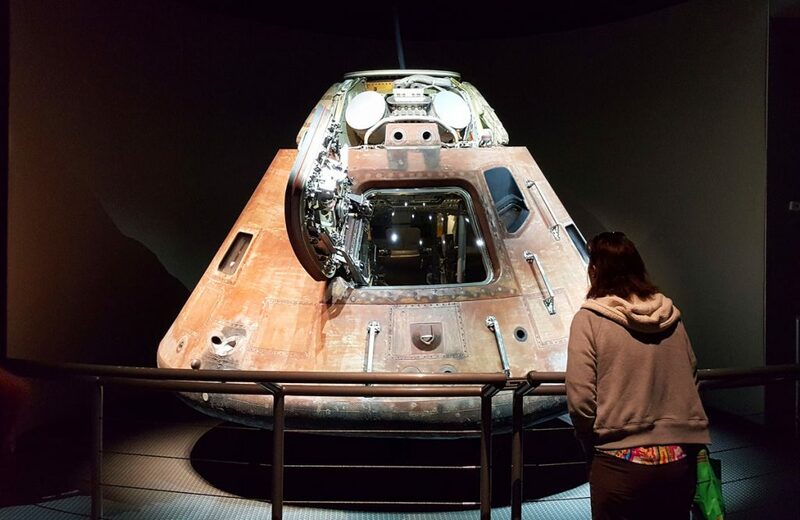 Stand next to the Apollo Capsule and get imagine how our astronauts must have felt cramped in that small capsule on that long journey to the Moon. Then head over to the Lunar Theater, where a blend of 3D theatrical elements, real NASA video and audio, and multimedia imagery come together to recreate the events of that historic day we landed on the moon. 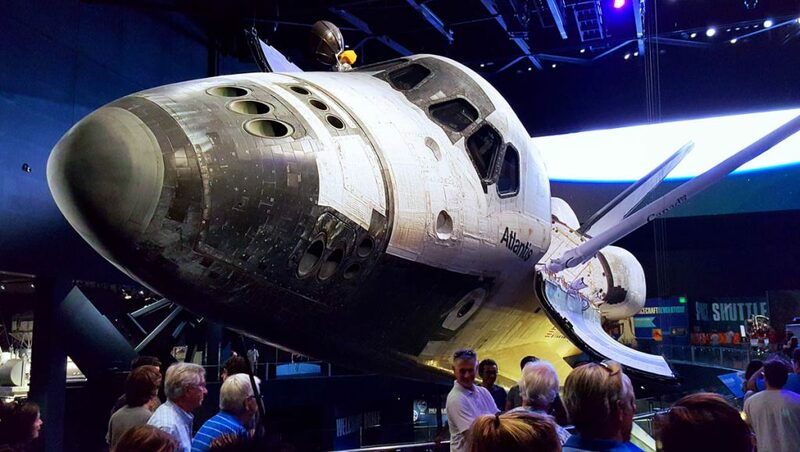 We finished up our tour of the Kennedy Space Center with the Space Shuttle Atlantis. 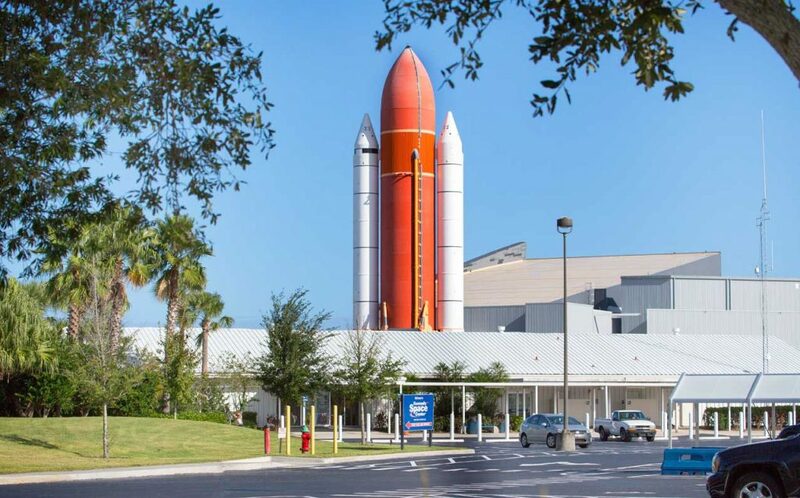 In this building you get to see the historic spacecraft that tells the incredible story of NASA’s 30-year Space Shuttle Program. Space Shuttle Atlantis is displayed as only spacewalking astronauts have seen her before — rotated 43.21 degrees with payload doors open and its Canadarm (robotic arm) extended, as it has just undocked from the International Space Station. 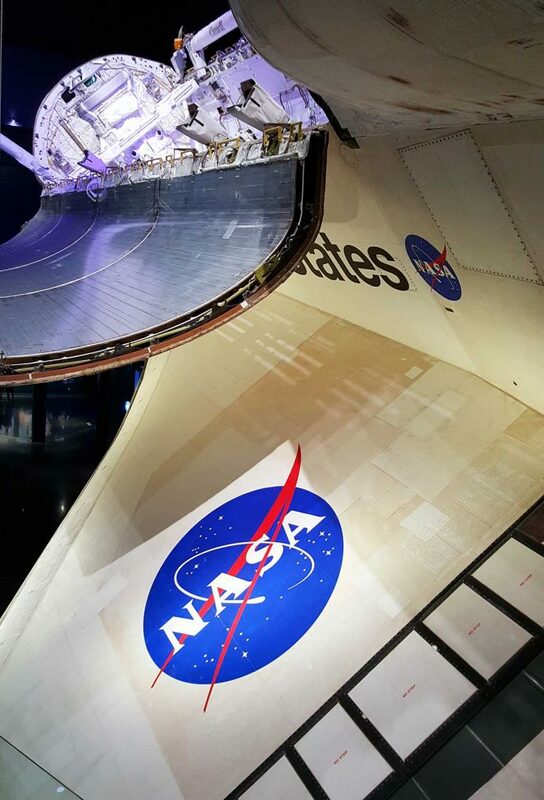 Walk under this amazing space craft and get a good look at the tiles that protected our astronauts during re-entry. Over the course of its flights The Space Shuttle Atlantis logged 125,935,769 miles in space. 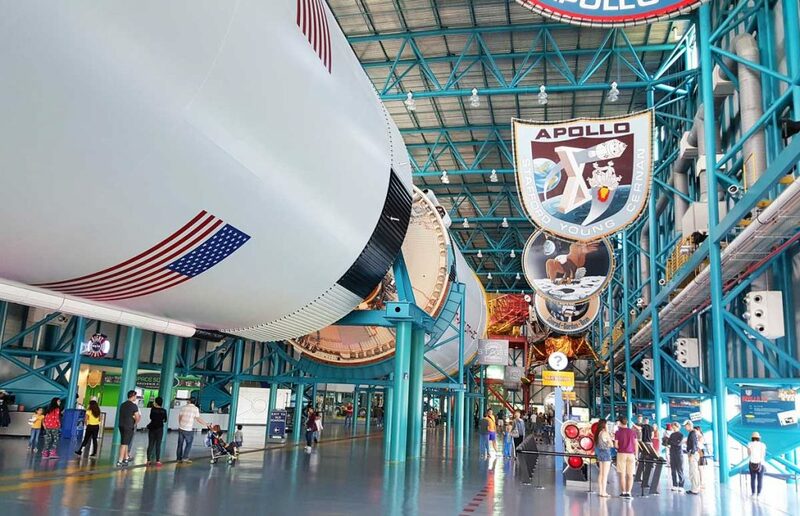 There is so much to see and experience at the Kennedy Space Center – the birthplace of a new chapter of American history. 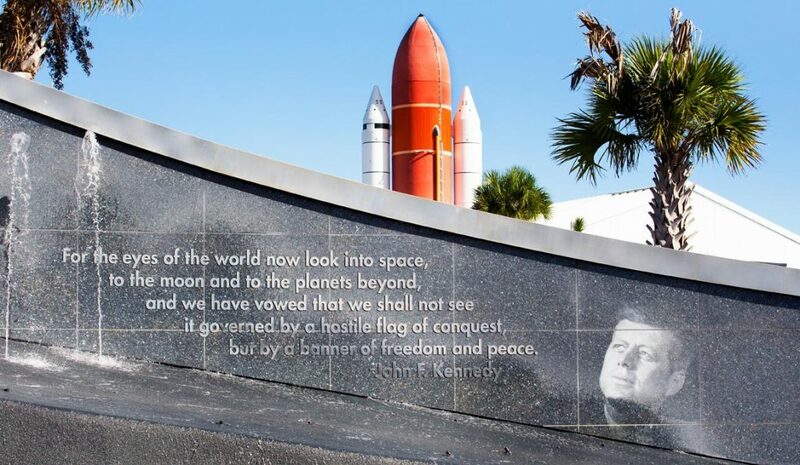 And remembering the sacrifices of the men and women who gave their all to get us into space, and those that still work tirelessly in that pursuit makes me proud to be an American. 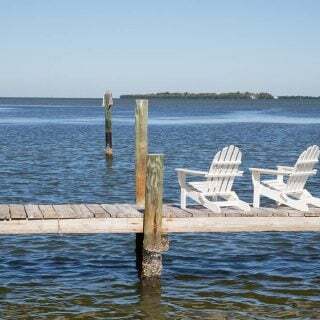 Learn more about the Kennedy Space Center by visiting their website –Nasa at Kennedy Space Center. Previous Post: « Chicken Parm Pizza – Let’s Make Pizza Night Fun!